If you want to be a successful player, professional gambler and just to be liked by people, you should know some secrets that open the door, make others smile at you. Here we have got some ideas, how you can improve in your gambling both offline and online. #1. Play only the roulette, which has one zero, since the double-zero roulette decreases your chances to win. Remember, the house edge grows and the possibility to win drops! #2. There are different betting systems. Some of them are of negative progression, some - of positive. Progression betting is to double the bets. In negative one - to double, when you are on a losing streak. In positive - to double, when you are on a winning streak. It is not wise to believe that the roulette game is based on equilibrium. If you are losing, you will definitely win a lot, if keep doubling the bets. #3. While gambling in an online casino, you should always try to find the one, which offers "Surrender" feature. It can increase the odds, if you are betting on evens. #4. You should remember that the Five-number bet is not working at all. Although it is possible only in American roulette and people think that they cover 5 numbers, it increases the house edge to 7.89 percent. #5. You should always remember that both online and offline roulettes are the games of chance. The roulette is a random game; you cannot predict the results, if it is not biased. #6. 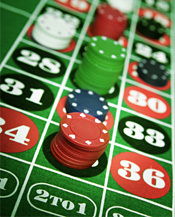 Before you start gambling with money, you should practice on a free online roulette. Almost every casino has this option. #7. There is one strategy that always works. It is called bankroll management. You should set aside a certain amount of money for your visit to the casino. Do not spend more than you can afford. #8. If you keep losing, you should not try to win back everything you lost. Maybe it is not your lucky day. If you keep winning, do not think you are almighty. #9. Always keep in mind that the higher the bet, the less chances you have to win. If the payoff is 35 to 1, you bet on only one number and you have one chance in 37 (38) to win. #10. 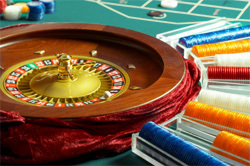 Before starting to bet, you should read and learn the roulette rules. It also concerns the house rules, if you decide to gamble. #11. If you see that the roulette systems are sold, you should not buy them. Why? Well, because it is worthless. No roulette system can work in a long run. It has been already checked. There is only one good strategy you can use, which is mentioned in #7. #12. You might have heard about French roulette. It has an "En Prison" rule. It saves you from losing your bet, if you bet on evens and zero comes up. It decreases the house edge. #13. As you know, the best bets are the inside ones, but at the same time it is so difficult to win. You can find another option - to bet on less but have a better chance to win. #14. Always remember - gambling is for fun. If you are playing for fun, you are calm and you are making better decisions on the bets. Once you are irritated you lose your temper and make stupid mistakes. Be wise and have fun! !